This magisterial follow-up to The New Abolition, a Grawemeyer Award winner, tells the crucial second chapter in the black social gospel’s history. The civil rights movement was one of the most searing developments in modern American history. It abounded with noble visions, resounded with magnificent rhetoric, and ended in nightmarish despair. It won a few legislative victories and had a profound impact on U.S. society, but failed to break white supremacy. The symbol of the movement, Martin Luther King Jr., soared so high that he tends to overwhelm anything associated with him. Yet the tradition that best describes him and other leaders of the civil rights movement has been strangely overlooked. In his latest book, Gary Dorrien continues to unearth the heyday and legacy of the black social gospel, a tradition with a shimmering history, a martyred central figure, and enduring relevance today. 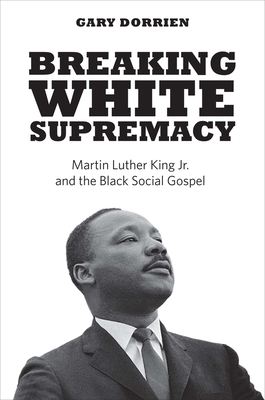 This part of the story centers around King and the mid-twentieth-century black church leaders who embraced the progressive, justice-oriented, internationalist social gospel from the beginning of their careers and fulfilled it, inspiring and leading America’s greatest liberation movement. Gary Dorrien is the Reinhold Niebuhr Professor of Social Ethics at Union Theological Seminary and Professor of Religion at Columbia University. His previous books include The New Abolition.